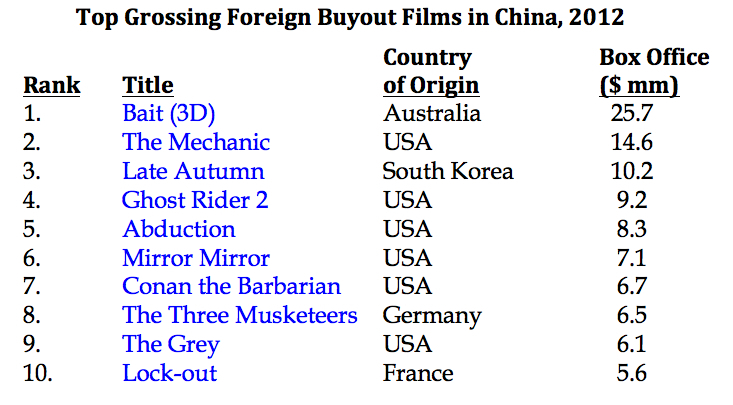 Although China’s distributors release roughly as many ‘buyout’ films—that is, foreign films acquired under flat fee purchase arrangements—as they do revenue sharing ‘quota’ films, it’s unusual for a buyout film to lead the box office. This is because quota films are mostly big-budget studio tent-pole pictures with major stars, while buyouts are most often independent ‘B’ level movies with less ambitious commercial aspirations. The numbers are pretty stark: last year the 31 foreign buyout films took only a 5.4 percent share of China’s total box office revenue, while the 34 foreign quota films earned 45.6 percent. So it came as quite a surprise last week when a buyout, Millenium Films’ romantic fantasy Upside Down, became the first film in nearly a month to outgross box office behemoth Journey to the West: Conquering the Demons. The $60 million Kirsten Dunst-Jim Sturgess starrer, about a sort of interstellar Romeo and Juliet who are separated not only by family but also by the physics of the cosmos, was shot way back in 2010 and had earned only $8 million worldwide when it debuted last Thursday in the PRC. In its first four days in China Upside Down nearly doubled its worldwide gross, and it also out-earned Journey by a slight margin. Despite its wide availability on pirated BD, DVD and online, it is now primed to become one of China’s highest earning buyout films ever. WIth the advantage of a full week of screenings versus Upside Down‘s four days, Journey to the West won the weekly box office crown for its fifth week in a row, a feat last achieved by Avatar back in 2010. Aggregate weekly box office was $42 million, a 38 percent improvement over the same week in 2012. Year-to-date, China’s box office revenue is running 46 percent ahead compared to the first 10 weeks of last year. Although they continue to underperform, American films are at least beginning to gain market share, capturing 44 percent last week thanks mainly to Journey‘s slowing momentum. The Hobbit: An Unexpected Journey stretched its cume to $45 million, and will end its China run next week at around $50 million. On March 14th A Good Day to Die Hard will open wide with hopes that it can turn the tide and become the first studio film to over-index in China this year. Resident Evil: Resurrection is set to open on March 17th, presumably in a heavily edited version. Oz the Great and Powerful has been pushed back to April, so the next studio release will be Jack the Giant Slayer on March 25th. 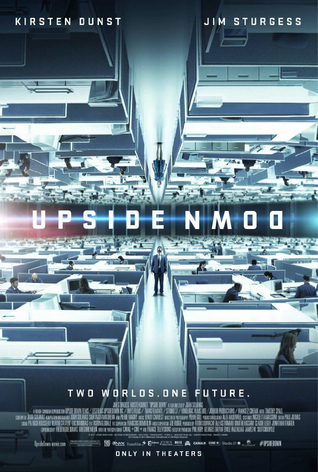 This entry was posted in Box Office Reports, General News and tagged A Good Day to Die Hard, Avatar, China box office, Jack the Giant Slayer, Journey to the West: Conquering the Demons, Millenium, Resident Evil: Resurrection, Rob Cain, Robert Cain, The Hobbit: An Unexpected Journey, Upside Down by chinafilmbiz. Bookmark the permalink. Great news~ Thanks for sharing Robert! Once again, solid insight, Rob; thanks.